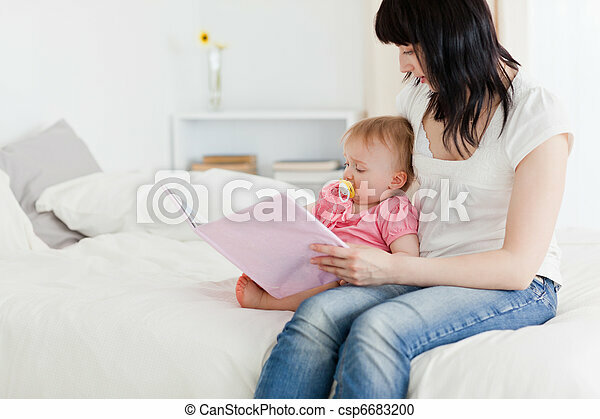 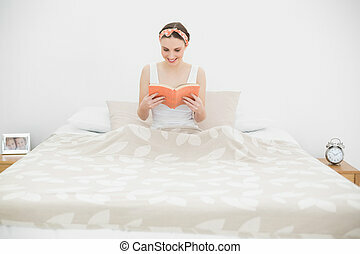 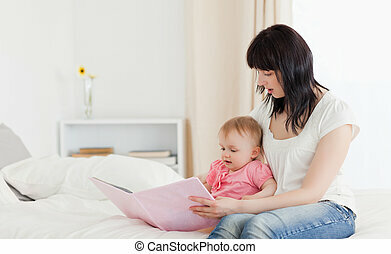 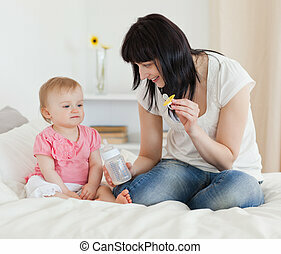 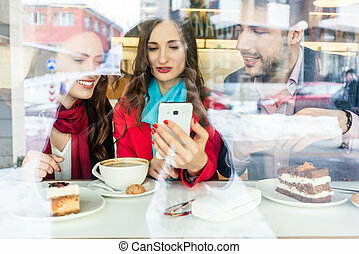 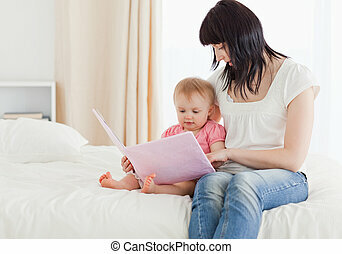 Charming brunette woman showing a book to her baby while sitting on a bed in her appartment. 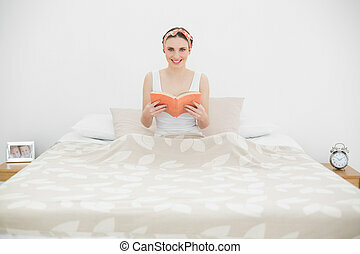 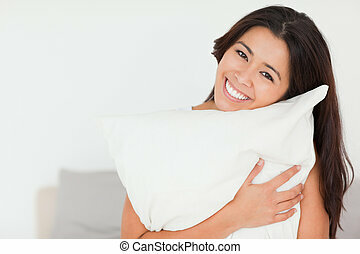 happy woman typing on her laptop and showing thumbs up while lying in a bed at home. 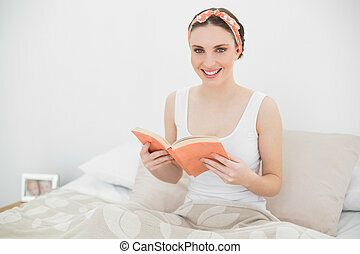 Close up Pretty Smiling Young Blond Woman in Casual Clothing Sitting on her Bed with Crossed Legs While Scanning a Book. 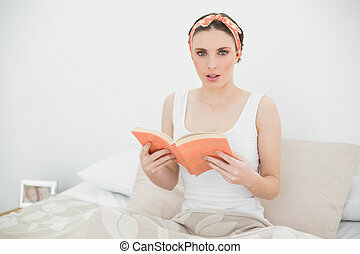 Portrait of an attractive pregnant woman touching her belly while sitting on a bed at home.